When we tie the knot with a soulmate, we assume it’s going to be forever. It’s pretty much written in the vows. Unfortunately not all marriages have fairytale endings. In fact, a significant amount of marriages in Canada end in divorce. The most recent data suggests 38 per cent of all marriages in Canada don’t last until death. Over 70,000 per year. The average marriage lasts 14 years, with 42 per cent of divorces occurring in marriages lasting between 10 and 24 years. The reasons for the divorce rate are many and complicated and not really necessary to discuss here. What we do know is, divorces can get ugly and costly for both individuals involved. And if the marriage is years old, there’s likely a home or property that gets caught in the middle. A typical divorce scenario sees that when the couple breaks up, the matrimonial home is sold and what’s left over is split. In almost all cases, even when one party wants to keep the home, the lawyers, banks and other professionals recommend selling the home. It makes sense, since most couples get a mortgage they can afford together, not on their own. That or due to refinance regulations that came in to play a few years ago, the home is not seen to have enough equity to fully pay out one of the parties unless sold. If the home is full of memories, or children are involved, it can be an extremely painful situation. You not only have to start a new family dynamic, but also do so in totally new homes as well. There is a unique alternative very few professionals even know exists. All three of Canada’s mortgage insurance providers, Canada Mortgage and Housing Corporation, Genworth Financial and Canada Guaranty, offer what’s called a spousal/partner buyout program. This program allows one party to refinance the matrimonial home up to 95 per cent of its appraised value, and pay out any debts related to the marriage. Traditionally, you can only refinance on an existing mortgage up to 80 per cent of the appraised value. The program is considered a purchase, so all the requirements and qualifications needed in a traditional purchase mortgage apply. In this case, you’ll also need a purchase agreement and a separation agreement with all the debts and payments spelled out up front. The buyout program is a one-time opportunity. It can be used to pay off other debts outside the separation agreement, but this depends on which one of the three insurers used. Even with a helpful loan-to-value ratio, some people still can’t afford to take on the home on their own. The program can also allow people to bring on a cosigner in this scenario, often a new partner or family member. At the end of the day, divorce is unfortunate and very difficult. The program strives to allow you to keep your home and kids can remain where they’ve grown up and feel comfortable. And that makes the situation at least somewhat more bearable. If you find yourself in a relationship / matrimonial breakdown and you’re not sure what to do about your home, a mortgage professional who has experience with this program should be consulted before making any important decisions. We can work with the lawyers to ensure proper steps are taken initially to ensure this program is considered and to determine if it can be used to keep the matrimonial home if desired. Even if you’ve already been told “No” by your bank / existing lending institution. Click HERE to get in touch for information / advice on this program. All conversations are in strict confidence! Ask pretty much anybody about mortgages and the first, sometimes only thing they want to talk about is the interest rate. 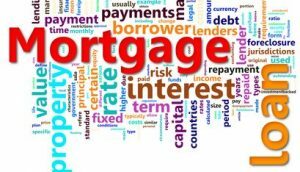 In my business as a Mortgage Professional, my job is to educate clients that while interest rate is definitely a cornerstone of your mortgage decision, it is not the only factor to consider when agreeing to sign a mortgage commitment. In many cases, the lowest interest rate does not represent an ideal fit, especially when the actual mortgage isn’t aligned with customer’s stage of life, priorities, or long-term outlook. 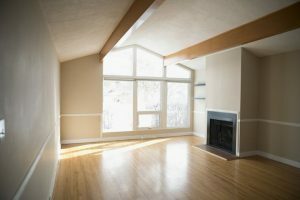 Rental properties are a prime example of mortgage situations where basing a decision solely on the rate is often short-sighted and in some cases detrimental to the long term viability of one’s investment. 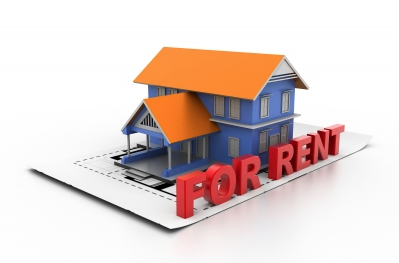 Rental properties can be a lucrative way to diversify investments, build passive income and long term net worth. They can also be costly, rigid and very problematic if you don’t choose the right property, area, tenants and MORTGAGE PRODUCT. Like any investment you are going to do your research before buying – RIGHT? And you are going to take your time and screen potential tenants vs taking the first Kijiji reply from @fraudster.com offering a cash deposit higher than you have specified – RIGHT? I’ll leave that part up to you. Where I come in is ensuring that the mortgage product you are using allows you the most flexibility on your payments and overall investment. The best way to ensure that your rental investment does not become a sucking vampire on your personal bank account is to minimize the cash outlays you are obligated to make. In my 10+ years of doing mortgages and owning investment property, the HELOC is far and away my favourite product for investment properties. First & foremost – CASH-FLOW. HELOC’s allow you the option of making interest-only payments monthly. The monthly payments on a standard $200K mortgage using current 5 yr fixed rate of 3.39% for example are $987. Interest only payments would be about $650. That’s a cash flow difference of $340. Think of a vacancy – they happen. That’s $340 of your own money that you don’t have to pull out of personal savings to cover while your investment income is stalled. Having the ability to scale back or minimize your cash outlays can be the difference between good and bad when it comes to an extended vacancy, renovation or unforeseen expense such as a repair or insurance claim. This very feature has allowed me to take the time needed to properly screen potential tenants when I have a vacancy and not rush into leasing to the very first interested reply. I can tell you that one of the worst mistakes that can be made with a rental is to scramble to get tenants in so they can start paying rent only to find out you picked the wrong people. Fully open – imagine somebody comes along offering you top dollar for your investment property. A HELOC is fully open meaning it can be paid off immediately without restriction or early payout charges. You can accept the offer and cash out immediately without seeing profits eroded by penalty charges and fees. With a standard mortgage you may have a payout penalty ranging from 3 months interest into the tens of thousands depending on mortgage type & institution (cringe if you have a fixed mortgage with one of the Big 5 Canadian banks). Revolving – so you’re an investment property wizard and the cash you are making has allowed you to pay down the HELOC we set-up dramatically. You can use the available space on your current HELOC towards the purchase of another property. Keep your personal savings and investments in tact and don’t have to ask permission to access the equity. That’s the beauty of revolving credit. The main (only) drawback to a HELOC over a standard, amortizing mortgage is that the interest rate tends to be slightly higher (about .50%). To me this argument rings hollow. Since your rental property is essentially a business, the interest that you pay on a mortgage is eligible to be written off for tax purposes. Given the strict criteria involved in qualifying for mortgages these days, I’m willing to bet most people with rental properties are already showing income that has them in an elevated tax bracket. That means that every extra dollar of profit reported on tax returns gets annihilated by CRA. Sometimes increasing an individual’s interest expense actually helps them bring their reported profits on rentals close to breaking even and honestly that’s why we have accountants (SIDE NOTE: please use an accountant if you are going to play in the investment game). Finding lenders who offer HELOCs on rentals isn’t easy, especially if you are wanting only 20% downpayment (80% LTV). Most lenders these days want more meat on the bone (equity) for rental properties. There are definitely good lenders out there doing rental HELOCs at 80%LTV. That’s where a call to your trusted Mortgage Advisor and the proper strategy can payoff in spades. HELOCs are not just a great product for rental properties. Click HERE to visit an earlier blog I wrote discussing the full range of benefits a HELOC can offer as a mortgage strategy. You read what the above quote is essentially saying right? Fixed rates are where banks etc. can turn to and manipulate to boost profits. Profits are good if you are a shareholder of a bank. Profits aren’t as cool if you happen to hold a borrowing instrument from one of those same banks. There’s a big reason that most banks aren’t rushing to market and push variable rate mortgages even though almost every one of them definitely has this in their arsenal. The reason is because variable mortgages typically favor the customer, or at least aren’t AS profitable as the fixed rate option. In particular, the point that I find most relevant is the penalty calculation, usually a point that isn’t even brought up in the original mortgage application process. On a variable rate, the maximum penalty that can be charged is 3 months interest, in your guys case likely less than $2000 and a pretty basic calculation. A fixed penalty is a different beast altogether. The penalty on a fixed is the GREATER OF 3 months interest or a dreaded Interest Rate Differential (IRD) calculation. The IRD can be very punitive (I’ve seen over $20,000) and very difficult to calculate as it is based on bank posted or bond rates which change daily. My summary – Don’t believe media fear mongering suggesting to “lock in now or else!” whenever these headlines pop up. A variable rate strategy can be a very strong move to hammer down principal on your mortgage over the next 12-18 months. Mortgage product selection is one small aspect of the value that an independent mortgage professional can offer clients. A licensed mortgage professional should bring more to the table than simply an approval and a low rate. By reviewing our client’s entire financial picture and outlook, we help build a plan that best aligns with the individual borrower’s goals & saves the most money overall on your mortgage, now and in the future.